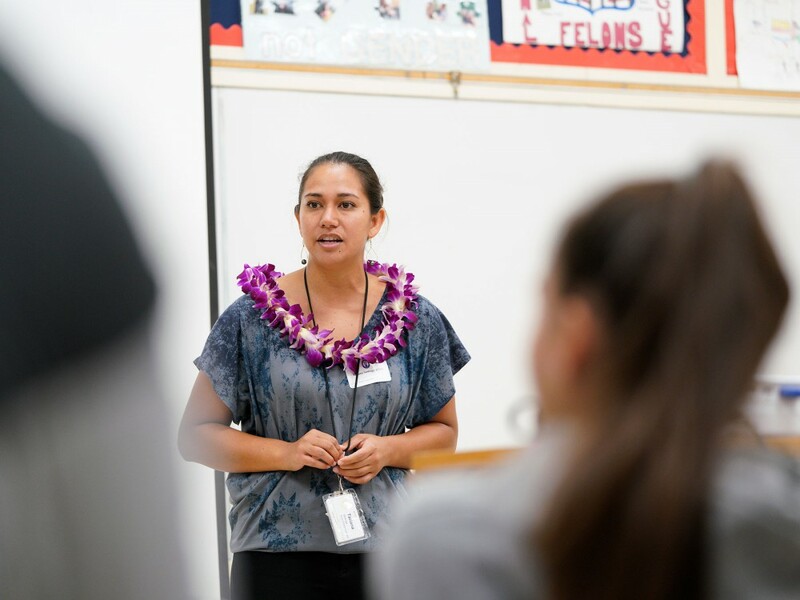 Launa ‘Ike is an alumni-student mentorship program that provides students guidance in their educational journey as they start to explore career aspirations. 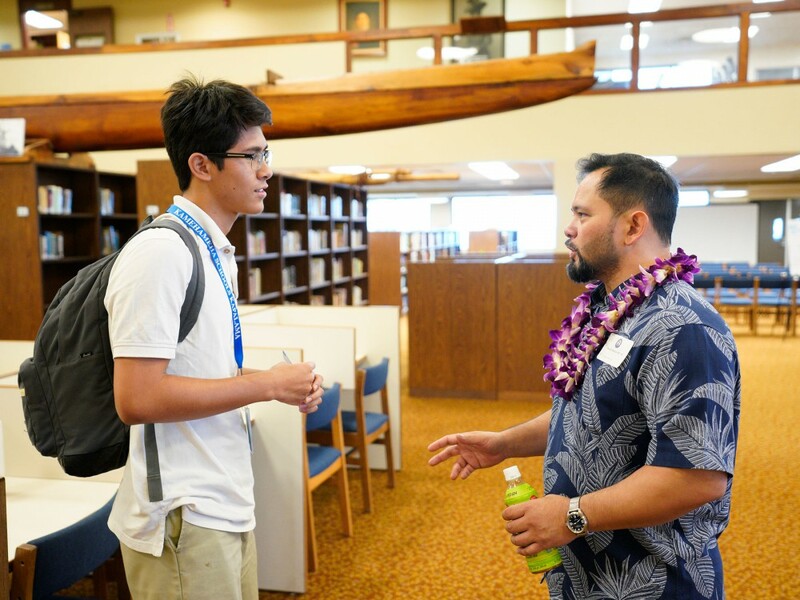 Dr. David Mattson KSK’89 offers advice to Kā‘eo Kekumano, a Kapālama junior who has future plans to enter the medical field. 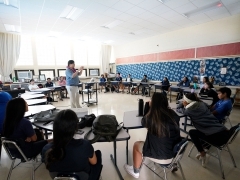 Tatiana Santiago KSK'08 talks about her career as an instructor and counselor at Windward Community College. Aaron England KSK’02 is a counter terrorism analyst at Booz Allen Hamilton. On Sept. 12, over 50 Kamehameha Schools alumni from a variety of professions returned to the Kapālama campus to share their ‘ike, or knowledge, with more than 1,300 students in grades 9-11. 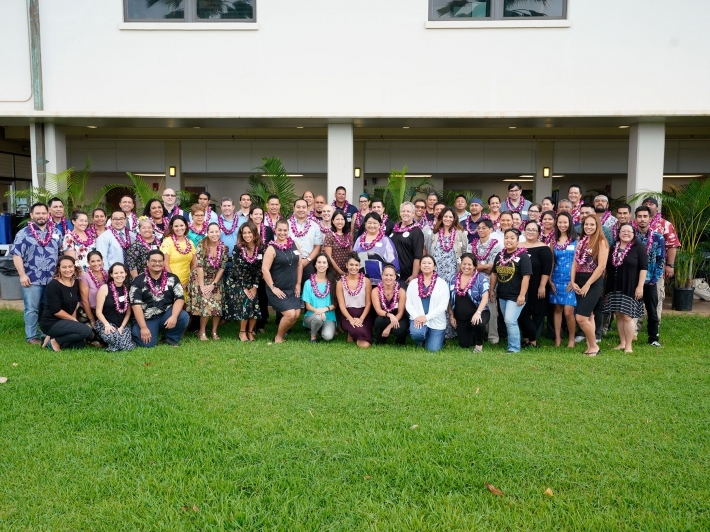 Now in its seventh year, Launa ‘Ike, an alumni-student mentorship program, offers alumni the opportunity to give back in time and talent. This year’s cohort of alumni covered a diverse spectrum of professionals, including a commercial pilot, counter terrorism analyst, film and movie executive, and bomb technician. 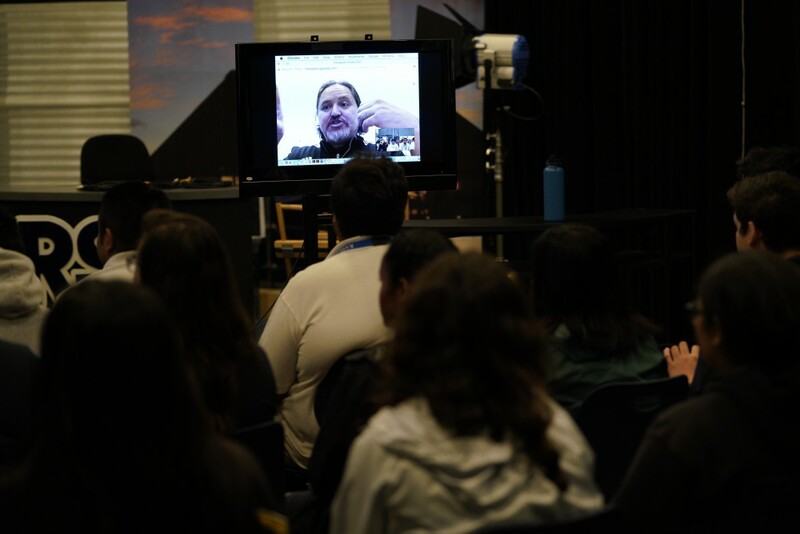 The program is a chance for students to access seasoned professionals in their desired career and gain insight into the necessary steps involved in college and their professional development. 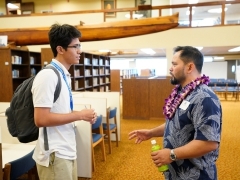 “I have plans to go into the medical field, and Dr. Mattson opened up my perspective of the possibilities and opportunities that I can seek out in medical school and my entire secondary education,” said Kā‘eo Kekumano, a Kapālama junior who plans to major in either biology or biochemistry for his undergraduate degree. To learn more about Launa ‘Ike and how you can participate as a mentor, please email Chanell Sagon at chsagon@ksbe.edu or call (808) 842-8672.